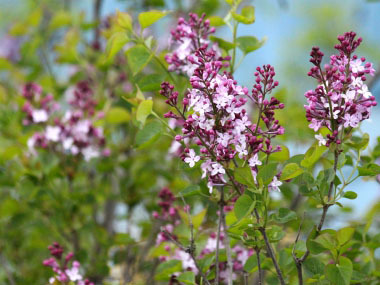 Lilac: Identification, Leaves, Bark & Habitat | Syringa Spp. This springtime favourite is a deciduous shrub (or tree) that can grow quite tall. Lilacs are in the Oleaceae (olive) family, this shrub sometimes looks like a small tree. 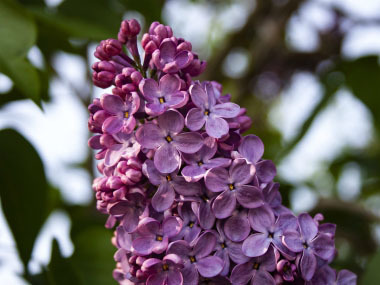 The lilac is perhaps the most sought-after blooms to add a soft, yet pleasant scent to homes. Depending on the variety, some lilacs are considered either a shrub or a tree. Shrub lilacs and bush lilacs are short and compact. The classic definition of a tree is that it is over 4m (13') tall and has a single trunk. Tree lilacs can grow up to 7 m (25') high and have a tree-like appearance, but their many stems tend to get them classified as bushes. They are not technically trees, but they get big enough that you can treat them as if they are. Trunk/bark: Bark is light to dark grey, smooth when it is young and shreds when it’s older and larger in diametre. Stems are stout, small, with raised lenticels and raised leaf scars. Branches/twigs: Branches can grow fairly straight or turn into many winding stems moving in a twisting and spiral course. 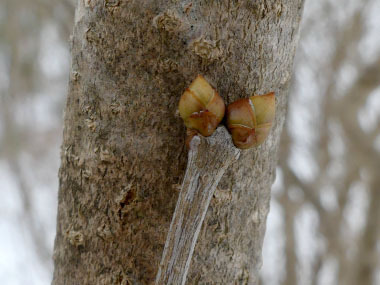 Lower parts of the branches and twigs do not grow leaves. 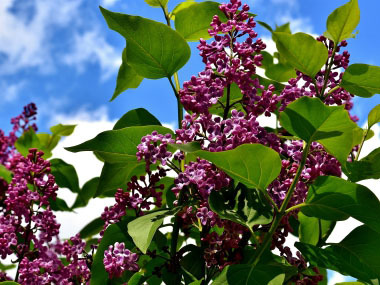 Height: Once mature lilac shrubs can grow to 2 to 5 m (7 to 16′) and can get up to 3 m (12′) wide. Leaves: Leaves are simple, opposite, ovate, 5 to 10 cm (2 to 4') long and vibrant green. Many leaves are shaped like a heart. 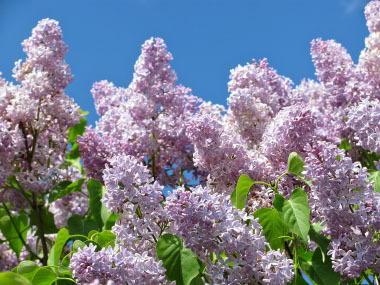 Flowers: The common lilac flowers (Syringa vulgaris) are lilac, fragrant, and depending on geographic location bloom in May. Flowers are borne in large terminal panicles that are 10 to 20cm (4 to 8") long and quite showy. Fruit: Common lilac (Syringa vulgaris) fruit capsules are borne in large panicles that are located at the terminal tips of branches. Capsules are beaked. 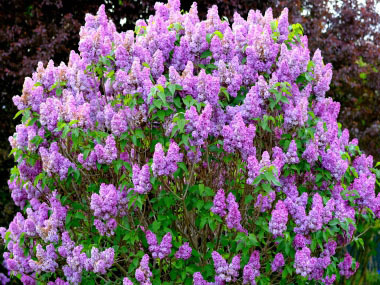 Habitat: Many lilac bushes can be found in fields, open areas and in cultivated gardens. They tend to prefer full sun. Edible parts: Flowers only. Use to make a cordial, tea, or add to a salad.